Welcome to Once Upon a Retelling! I'm a huge fan of retellings, and I'm really interested in hearing about authors' own love of the original stories, and what inspired them to retell those stories. And so Once Upon a Retelling was born, a feature in which I interview authors about their versions of well-loved tales. 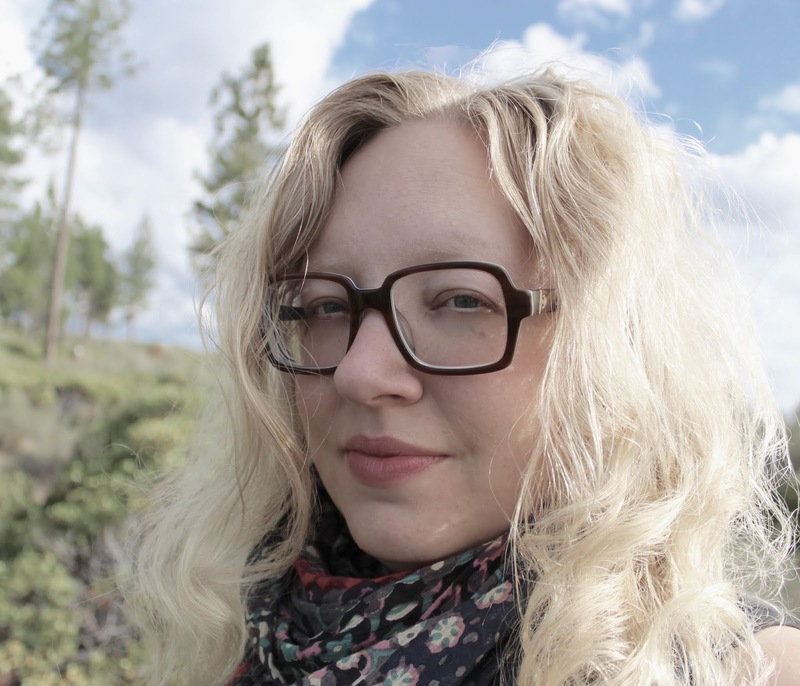 Today, I'm really excited to have April Genevieve Tucholke stopping by the blog to discuss her retelling of Beowulf, The Boneless Mercies. Can you tell us a little about The Boneless Mercies? What kind of a retelling of Beowulf is it? 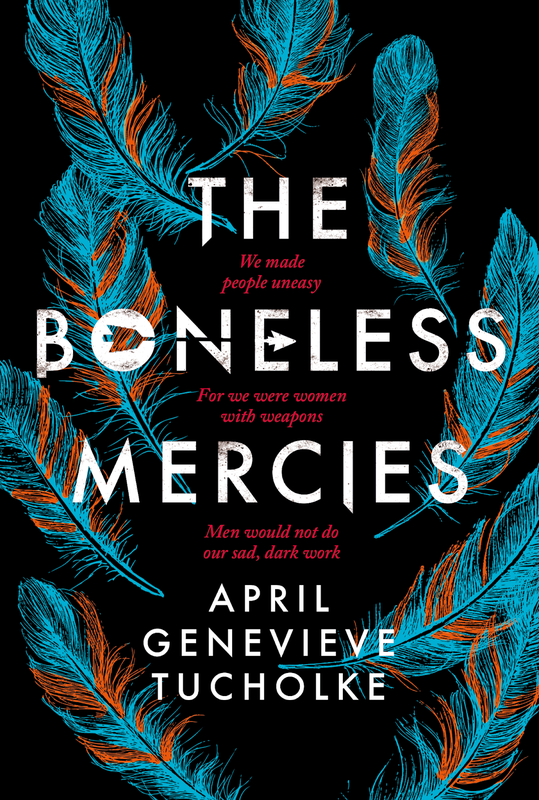 The Boneless Mercies is a reimagining of Beowulf, with four female warriors taking the place of the one male main character of Beowulf. It is a book about death-traders--female mercenaries who are doomed to roam Vorseland killing the old or the sick. Frey and her band of Mercies dream of a bigger life...so when Frey hears that a beast is slaughtering people in a northern jarldom, she decides that killing it is the Mercies’ one chance at fame and fortune. Why Beowulf? What drew you to this Old English epic? And what inspired you to retell it? Three years ago I visited Iceland. It’s such a raw, majestic country, wild and cold and fantastical. During this visit I developed a thirst to study Norse culture and the sagas...which then led to Beowulf. It is one of the oldest known stories. This has power. What do you bring to the Beowulf story with The Boneless Mercies? 1) I’ve never read of other women who “trade in death” as my characters do, either in reality or fiction. I gave my characters this profession because I wanted them to have experience with bringing death, but not with battle or glory. 2) I've read fantasies about female warriors, but these books often feature a lone hero, and The Boneless Mercies portrays, instead, the friendship and love between a band of female characters as they fight together to accomplish something brave and noble. How does The Boneless Mercies differ from other retellings of Beowulf out there? There are female main characters! Were there any difficulties in tackling a retelling of a story already known, over writing an original story? Anything that was easier? You have to strike a fine balance when doing a retelling--paying tribute to the original story, while also creating your own. The biggest difficulty for me was deciding what to keep and what to cut from the original. What do you hope readers get from The Boneless Mercies? A feeling of triumph and possibility...and a warm, comforting glow of profound female friendship. What do you think makes a good retelling? I think the elements that create a good fantasy retelling echo the elements that make up any good fantasy novel: compelling main characters, adventure, tragedy, danger, and a meaningful, heroic quest. Are there any retellings you would recommend, either of Beowulf, or in general? The film The 13th Warrior is the best Beowulf retelling, in my opinion. The 1996 Baz Luhrmann retelling of Romeo + Juliet was beautiful and unique. The dark, moody Penny Dreadful wove in several classic retellings, from Frankenstein to Dracula to The Picture of Dorian Gray. And of course O Brother, Where Art Thou?—the Coen Brothers' take on Homer’s Odyssey—that’s high on my list. Thank you, April, for such awesome answers! I am so looking forward to reading this! I love that it features a band of female warriors with a strong friendship. Be sure to visit April's website, follow her on Twitter and Instagram, and check out The Boneless Mercies, which was published on 4th October 2018. Frey, Ovie, Juniper, and Runa are Boneless Mercies – death-traders, hired to kill quickly, quietly and mercifully. It is a job for women, and women only. Men will not do this sad, dark work. Frey has no family, no home, no fortune, and yet her blood sings a song of glory. So when she hears of a monster slaughtering men, women, and children in a northern jarldom, she decides this the Mercies’ one chance to change their fate. An epic YA fantasy set in a breathtaking new world, this is perfect for fans of V.E.Schwab, Leigh Bardugo, Laini Taylor and Melinda Salisbury From Goodreads. 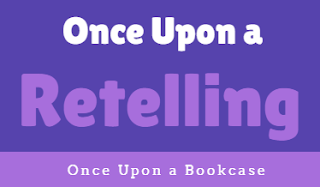 If you enjoyed this post, check out the other interviews in the Once Upon a Retelling series. Ooh this was so interesting to read! I actually confess I don't know the original Beowulf so for me going in, it felt like an entirely new and fresh story haha. But I LOVE books that feature complex and interesting women, and I especially loved this group of girls (Juniper was my favourite!!) also the writing was so gorgeous and magical ahh! !